1. Access to our Site: This website is owned and operated by Fast Cleaners Croydon. We wholly reserve the right to permit, withdraw or amend the service / information we provide on our site without prior notice. We will not be liable if for any reason our site is temporarily inaccessible or unavailable for a particular period of time. We possess rights to disable or restrict an identification code and combination password for any security reason if and when required. 2. 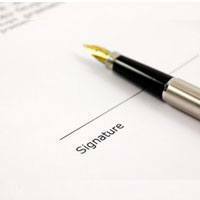 Transactions through our site: On agreeing the service terms and conditions the contract will come into existence between you and the service provider. Please ensure to read every term and condition carefully. You will be legally binding once you have showed your agreement to the service. 3. Surety on information posted: The comments sections that possess information or any advice may not be trusted material. Belief placed on such materials by anyone who may be informed of any of its contents or by any visitor to our site are disclaimed for all liability and responsibility from provider end. 4. Intellectual Property Rights: The intellectual property rights of our site solely belong to us. Our cleaning company own the rights on the material published on it. The work is protected by copyrights and all rights are reserved. Modification of digital content or illegal use of illustrations, videos or graphics is a punishable offence. 5. Site up gradation and changes: At a time of requirement we may terminate the site entirely. Alternatively, we own rights to update or modify or upgrade site content as and when required without any prior notice. Content that are not updated possess no obligation on site administrator. 6. Our Liabilities: We offer no liability on the content / illustration displayed in our site. We do not offer guarantee on the accuracy level. We are not liable of any loss or damage incurred by the user as in connection with our site connectivity, results or linked and other posted materials. 7. Viruses, Hacking and other offences: Introduction of Trojan, logic bombs or any other malicious virus is a punishable offense. Unauthorized access to site, server or database is restricted and considered as criminal offence as per computer misuse act 1990. Any personnel found guilty his/her right to use the site will be ceased immediately. We are not liable for any malicious attack on user computer resulted by any data download. 8. Links to/from our site: Legal link to homepage for reference and promotional purposes are encouraged however, attempt to gain unauthorized access by external links and causes any damage to firm reputation is punishable offense. We reserve the rights to withdraw linking permissions. We possess no control over links to external sites or resources that are provided by third party. We are liable for any damage caused by third party links from our site. You may also call us on 020 3322 1893 for details on our cleaning services and cleaning prices.